Doing the right things can increase your odds of getting through alive. Nearly 1,000 residents have attended a “Civilian Response to Active Shooter Events” class held by the Ottawa County Sheriff’s Office. This thought-provoking and engaging class provides strategies, guidance, and a plan for surviving an active shooter event. There is no cost for the class, but registration is required. Time of the sessions vary. See the registration page for details. All classes are held at the Ottawa County Fillmore Street Administration Building, 12220 Fillmore, West Olive. This entry was posted in Ottawa County on March 30, 2019 by editor. The search is on for Ottawa County’s first ever Diversity, Equity and Inclusion (DEI) Director. The Ottawa County Board of Commissioners established the office on December 11, 2018, and approved the staffing plan on February 26, 2019. After five years, Ottawa County leaders knew it was time to do more. “Some of our largest employers in West Michigan expressed to us that attracting global talent is critical to their success. 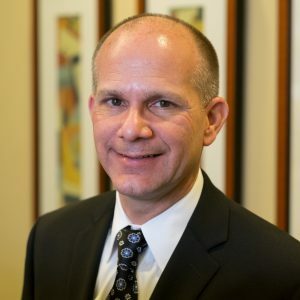 While they can get them here, those who are different from the cultural norm are leaving after a short time on the job,” said Al Vanderberg, Ottawa County Administrator. The DEI office will lead the development of an equity plan for the entire range of human differences. A key initiative will be identifying implicit bias in internal policies, procedures, practices, and in external service delivery. In addition, the County intends to extend assistance to local units of government that desire to tackle similar objectives. Funding for the office is a combination of public, private and non-profit dollars. The cost to Ottawa County for the first five years is approximately $630,000. More information on this position and the skills needed is available in the Recruitment Profile. To apply, visit http://www.miottawa.org/careers. The County is accepting applications until March 29, 2019. This entry was posted in Ottawa County on March 28, 2019 by editor. • A purchase agreement to acquire 16.5 acres of land on the Grand River with 651’ of riverfront in Georgetown Township for $100,000; the acquisition is expected to be complete by the end of January. • Acquisition of a 1,000’-long easement that will connect a parks property on Cottonwood Drive to the riverfront for $10,000. These purchases would not be possible without assistance from the Ottawa County Parks Foundation, which is providing all the funding for the purchases through the Grand River Greenway Campaign. The Greenway Campaign is co-chaired by Peter Secchia, Monica Verplank, and Samantha Verplank. East of the Kent County border, there are nearly six miles of publicly owned riverfront on the south side of the Grand River. A multi-use pathway extends through this public land and then connects to Millennium Park on the north side of the River, where separated and on-road pathways lead to downtown Grand Rapids. At the border with Ottawa County, the City of Grandville owns land where Rush and Buck Creeks flow into the Grand River at the site of the Grandville Clean Water Plant. Ottawa County Parks, in collaboration with Georgetown Township, has worked for years to assemble properties and easements west of the plant (near the Cottonwood Drive/Baldwin Street intersection) with the goal of linking to the public land in Kent County. This entry was posted in Ottawa County on March 26, 2019 by editor. Ottawa County, MI – Over the past decade, accelerators have become an essential part of the new business startup and scale up journey. Michigan is home to several of these accelerators, and later in 2019, ACRE AgTech will become the only Michigan business accelerator dedicated to serving the State’s second largest industry – agriculture. ACRE AgTech has two key ingredients for success in this new endeavor. First, Tim Parker, president of the Grand Angels venture group, was elected ACRE AgTech’s Board Chair this month. Parker has tremendous expertise in venture deals and evaluating startups. Under his leadership, ACRE will be well positioned to select the most talented innovators to participate in the new accelerator program. Second, becoming a launch member of GAN will help pave the way for the ACRE AgTech Accelerator to bring innovative solutions from across the country to Michigan’s agriculture industry. GAN is a highly curated community of independent accelerators, partners, and investors. They create opportunities around the world for startups to access the human and financial capital they need to create and grow their businesses, wherever they are. Over the last ten years, more than 9,400 startups have gone through a GAN accelerator, and GAN data shows that 85% of those startups are still in business today. Among GAN corporate partners are Amazon, Cisco, American Airlines, IBM, Land Rover, Microsoft, Michelin, Mastercard, Universal Music Group, and others. Parker is confident that being a GAN accelerator will be very beneficial. “With this kind of networking and turnkey access to best practices observed globally by accelerators, we will be able to give our innovators a very competitive edge,” Parker commented. Being a part of the GAN community offers great opportunities for its startups. Being GAN means having access to nearly 30 corporate partners that are excited to engage with startups, and engagement with investors interested in hearing ideas from authentic startup founders – and this is just what the agriculture industry in Michigan needs. The goal of the ACRE AgTech Accelerator program is to accurately and efficiently scout for the right agtechnology to meet today’s challenges in agriculture, then help the innovators behind the technologies launch their businesses. ACRE AgTech has been providing connections and resources to agtech entrepreneurs across Michigan since December 2014. ACRE, a non-profit entrepreneurial support organization, receives support from GreenStone Farm Credit Services, Watson IP, BizStream, Rehmann, Next Creative, Ottawa County, and the State of Michigan. For more information about ACRE AgTech and the launch of the ACRE AgTech Accelerator, please visit the website at www.acreagtech.com, follow on twitter @ACREAgTech, or contact them at info@acreagtech.com or 616.994.4745. This entry was posted in Ottawa County on March 20, 2019 by editor. • 92% of court users said they were treated with courtesy and respect by court staff. • 88% of court users said the way the judge or attorney referee handled their case was fair. • 84% of court users were able to get their business done in a reasonable amount of time. Originally alerted to groundwater concerns nearly a decade ago, Ottawa County hired Michigan State University (MSU) in 2011 to conduct a comprehensive study of the quality and sustainability of the County’s groundwater system. MSU’s scientific findings released in Spring 2018 confirmed the anecdotal evidence—water levels in the deep bedrock aquifer are declining, and chloride concentrations in the water are increasing. Moreover, the findings of this study support what we’ve known all along—water conservation is critical, even in our Great Lakes State. MSU’s groundwater study points to unique geological features located underneath several communities in the central areas of Ottawa County as a contributing factor to the groundwater challenge. These areas are seeing declining groundwater levels due to thick layers of clay deposits that prevent water from re-entering the bedrock aquifer locally. As groundwater is continually pumped out of the aquifer, the system is not being “recharged” fast enough to keep up with demand. Furthermore, as the water levels continue to decline, naturally occurring brines (salt) found in the bedrock aquifer are mixing with the groundwater at an increasing rate, resulting in a higher concentration of chloride in the water. Elevated levels of sodium chloride in water can corrode pipes, damage crops, and potentially exacerbate health concerns among individuals with high blood pressure. The Static Water Levels (SWLs), which is the level of water in a well when the pump is not operating, have actually been on the decline in this area since the 1960s. Extensive historical data shows that some areas of the County have seen a drop of as much as 40 feet over the last 50+ years. Estimates show that if water consumption continues on the current path without intervention, these areas will see another 10 to 15-foot decline in the next 20 years. A decline of this magnitude could result in wells that are inoperable due to reduced or minimally available water resources or unusable because of high chloride concentrations. The County’s Plan for managing its groundwater resources into the future is a collaborative effort that involves multiple partners including, but not limited to, Grand Valley State University’s Annis Water Resources Institute, Michigan Geological Survey, Michigan Groundwater Association, the County Department of Public Health, and County Road Commission Public Utilities Department, among many other stakeholders, scientists, experts, and local decision-makers. To learn more about how Ottawa County is proactively addressing this groundwater issue and what you can do to help, go to www.miOttawa.org/groundwater. Here you can watch a short video titled “Managing Our Groundwater,” read in-depth about the County’s Groundwater Study and the conceptual Groundwater Management Plan, utilize an interactive groundwater mapping tool, and learn ways to conserve water at your home or workplace. The problem could be solved by reducing the water use by farmers and commercial. All residential reduction combined will have little effect. This entry was posted in Ottawa County on March 14, 2019 by editor. • and other needed services. 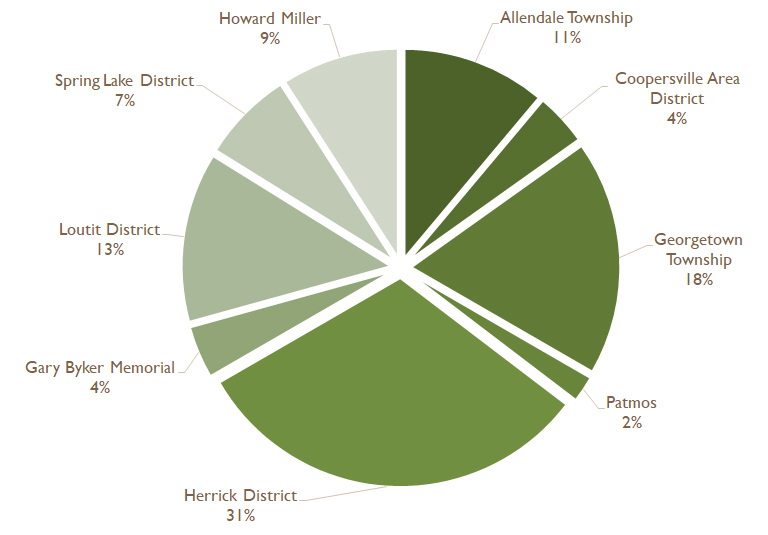 Last year, the volunteers logged 3690 hours of service in Ottawa County. Senior volunteers should be age 50 or older, must possess a valid driver’s license and pass a criminal background check. Those interested in the Senior Volunteer Program should contact Captain Bob Tease at 616-738-4010 or rtease@miottawa.org. This entry was posted in Ottawa County on March 11, 2019 by editor. Advocates receive training from the Michigan Sheriff’s Association and from the Ottawa County Sheriff’s Office. The Advocates work their shift with a partners covering 24 hours of service. If you are interested in learning more about the volunteer Victim Advocate Unit, please contact Sergeant Christie Wendt at cwendt@miottawa.org. This entry was posted in Ottawa County on March 8, 2019 by editor. Applications will be processed on a first-come-first-serve basis. Pending a background check and eligibility, applicants will be notified of their acceptance into the academy near February 15. For more information on the Citizen Police Academy and the selection process please contact Sergeant Derek Gerencer at (616) 738-4044. There is also space in the Sheriff Office’s Civilian Response to Active Shooter Events sessions. The Civilian Response to Active Shooter Events (CRASE) course provides strategies, guidance, and a plan for surviving an active shooter event. Participants must be at least 18 years of age; please bring picture ID such as a driver’s license or state-issued identification. This entry was posted in Ottawa County on January 29, 2019 by editor. This entry was posted in Ottawa County on October 4, 2018 by editor. The 345-acre property sits between green space owned by the cities of Grand Haven and Ferrysburg and North Ottawa Dunes. The site has long been used for sand mining, but has been inactive in recent years. The property includes forested dunes, an 80-acre, and riverfront land with wetlands. This fall, the public will have the opportunity to experience the natural beauty this property holds for the first time. 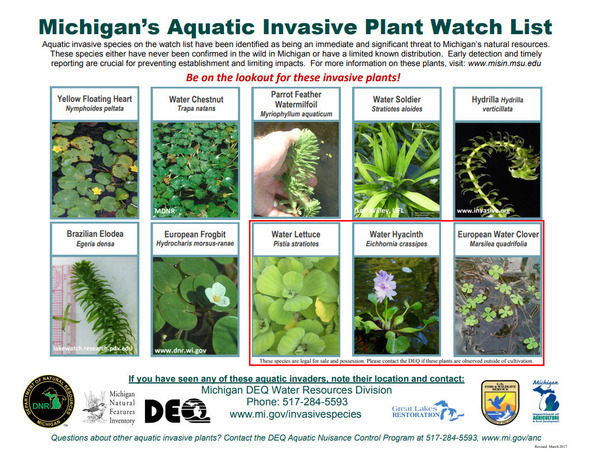 This property is now co-owned by Ottawa County Parks and the Land Conservancy of West Michigan (LCWM). It will open to the public on October 15, 2018 following boundary marking, safety improvements, sign and trail marking installations. The Land Conservancy purchased half the property by securing a loan from The Conservation Fund and has leased its portion of the property to Ottawa County Parks for management. 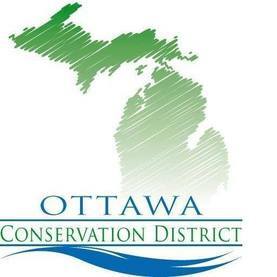 Once the funds have been secured to pay back the loan used for purchase, and additional expenses, the property will be transferred to and fully owned by Ottawa County Parks. “In order to secure this property for the public, the purchase needed to happen in full, but we only had grant funding for just over half of the property. The Land Conservancy really stepped up and for that we are very grateful. 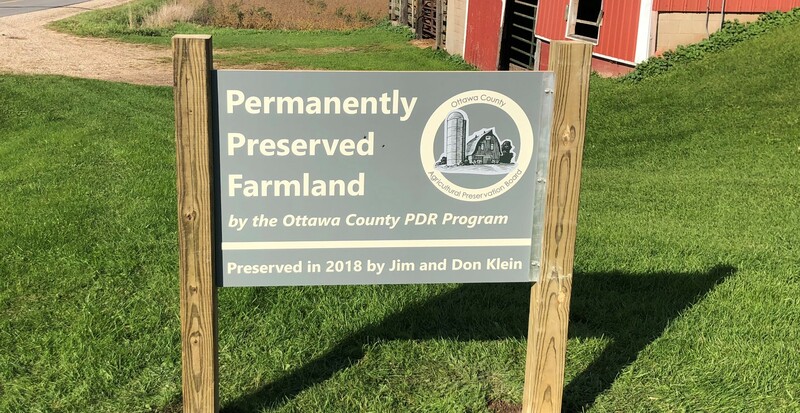 Without them, the opportunity to purchase this land would not have been possible,” said John Scholtz, Ottawa County Parks Director. Now both organizations are working to secure the remaining funds needed to protect all of the property. Ottawa County Parks submitted a 2018 grant application to the Michigan Natural Resources Trust Fund and a decision on that request will be made in December of 2018. The Land Conservancy will need to raise a minimum of $200,000 to cover costs related to the loan. This entry was posted in Ottawa County on September 24, 2018 by editor. 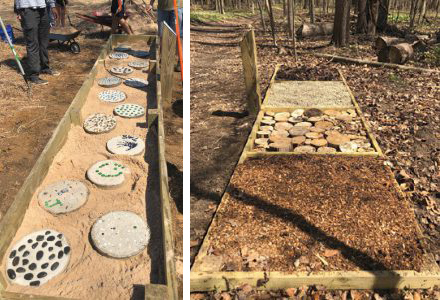 Theodore (Tas) Stoetzner of Boy Scout Troop 354 of Jenison completed his Eagle Scout project by constructing the park system’s first sensory trail in May. “I chose this project to help kids and families who live with autism enjoy the parks and be outside more. When I was learning about trails, I learned that autistic children sometimes have challenges with senses and decided that I should help them with four stations to help them hear, see, and feel different things in nature,” said Tas. Recognizing that this trail would need extra attention and upkeep, the Parks Department required Tas to recruit a local organization or business to adopt the trail. Tas connected with Autism Support of West Shore, and they agreed to sign on as Adopt-a-Park volunteers. • At two listening stations, users can identify the local birds and their calls. • At the walk through station, users will walk on pine cones, stones, wood chips, and logs to feel different textures. • At the manual dexterity station, children can dig and find 15 hidden paving stones, each with different textures. • The yoga station is intended to help users stretch their bodies and enjoy their surroundings. Begin at the trail head closest to the picnic building/lake and follow the loop to intersection 7 to 6 to 3 and end at intersection 2 to see all of the stations. This entry was posted in Ottawa County on September 18, 2018 by editor. The Ottawa County Sheriff’s Office and Ottawa County Geospatial Insights and Solutions released a new, mobile-friendly incident mapping system last month. The system allows users to search for police activity by date, location and type of incident. Incident types are categorized as traffic and crashes, crimes against persons, health and safety, drugs and alcohol, property, marine and other services. The incidents listed include a basic description of the call and the general area of occurrence. Calls under the jurisdictions of GVSU, Zeeland, Grand Haven, and Holland are included in the system. The incident mapping system is a transparency tool allowing residents to be better informed and potentially safer in their neighborhoods. Citizens can see what types of complaints Ottawa County has been responding to in their communities. • The incidents listed are law enforcement calls for service, and not necessarily cases or substantiated crimes. • House numbers are truncated and other data is stripped to protect the privacy of individuals. This entry was posted in Ottawa County on September 13, 2018 by editor. August 23, 2018 – Legionnaires’ disease is more common during the warmer months when temperatures are ideal for bacteria growth. However, regional epidemiologists are seeing an increase in cases in Ottawa, Kent and Muskegon counties. This increase corresponds with state and national increases. 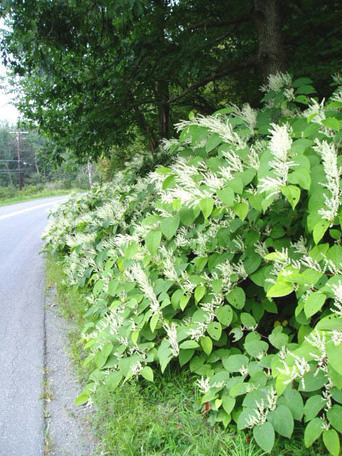 No common source has been identified related to the recent cases. “It is important people are aware of the signs and symptoms of this serious type of lung infection and contact their doctor right away if they become sick,” said Marcia Mansaray, epidemiologist with the Ottawa County Department of Public Health. Legionnaires’ disease, a type of severe pneumonia (lung infection), is caused by breathing in small droplets of water that contain Legionella. In nature, Legionella live in fresh water and rarely cause illness. In man-made settings, Legionella can grow if water is not properly maintained. 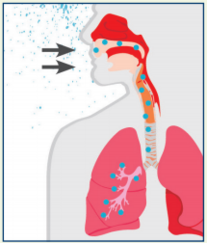 In general, people do not spread Legionnaires’ disease to other people. Doctors use chest x-rays or physical exams to check for pneumonia. Your doctor may also order tests on a sample of urine and sputum (phlegm) to see if your lung infection is caused by Legionella. Legionnaires’ disease is treated with antibiotics (drugs that kill bacteria in the body). Most people who get sick need care in a hospital but make a full recovery. However, about 1 out of 10 people who get Legionnaires’ disease will die from the infection. Most healthy people do not get Legionnaires’ disease after being exposed to Legionella. Being 50 years or older or having certain risk factors can increase your chances of getting sick. Outbreaks of Legionnaires’ disease are often associated with large or complex water systems, like those found in hospitals, hotels and cruise ships. This entry was posted in Ottawa County on September 12, 2018 by editor. The Ottawa County Department of Public Health partnered with My Community Dental Centers Inc. (MCDC) to provide greater access to dental care in Ottawa County. 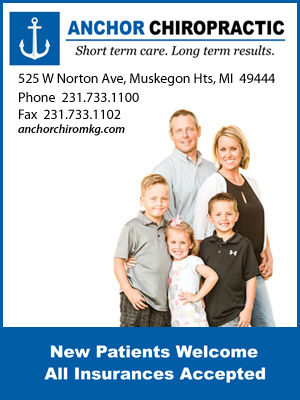 A new dental center will open in Fall 2018 at 805 S. Beacon Blvd., Grand Haven. MCDC is operating the six-chair center on behalf of the health department. The center will provide quality dental care to all – children and adults enrolled in Medicaid, Healthy Kids Dental, Healthy Michigan Plan and private dental insurance. MCDC also offers MyDental Program (MyDP) for people without dental insurance, which provides reduced fees based on household income. An initial dental exam with X-rays will cost $39 for new patients. New patients may register now by calling (877) 313-6232 or visiting www.mydental.org. • and other dental procedures. This entry was posted in Ottawa County on September 5, 2018 by editor. From miles of bike paths and paved shoulders to sandy beaches, Ottawa County has made outdoor recreation a priority and continues to seek opportunities to expand upon its extensive network of non-motorized transportation facilities. Of the popular cycling routes in Ottawa County, Lakeshore Drive remains at the top for many great reasons, including its scenic views, winding terrain, and regional connection from Grand Haven to Holland. The effort to construct 4 foot-wide paved shoulders on Lakeshore Drive began in 2002 when the Ottawa County Non-Motorized Pathway Plan was created. This Plan was developed by soliciting input from stakeholders, the public, and local cycling groups to create and expand an interconnected, Countywide non-motorized transportation system. Since 2002, a collaboration among Ottawa County, the Ottawa County Road Commission, local units of government, cycling groups, and various public and private-sector entities has occurred to fund and add 4 foot-wide paved shoulders along Lakeshore Drive to create a safe separation between motorists and cyclists that ride their bikes along this route. This effort is about enhancing the quality of life for residents, employees, and visitors. The 4 foot-wide paved shoulders on Lakeshore Drive have been constructed in various stages over the years as a result of a partnership with the Ottawa County Road Commission. In alignment with the County’s Non-Motorized Pathway Plan, the Road Commission has constructed 3 foot-wide shoulders along selected routes in the County with the remaining 1 foot being funded through efforts of the Ottawa County Planning and Performance Improvement Department. According to the American Association of State Highway and Transportation Officials (AASHTO), a 4 foot-wide shoulder is the optimum width for user safety. To date, over 13 miles of 4 foot-wide paved shoulders have been constructed along Lakeshore Drive – with a final 5 mile stretch remaining in Park Township, from New Holland to 168th Avenue. From a successful crowd-funding campaign in 2015 spearheaded by the Planning and Performance Improvement Department, to collaborative efforts with local units of government and businesses, the expanded paved shoulder network along the entirety of Lakeshore Drive is the result of wide community support. This entry was posted in Ottawa County on September 3, 2018 by editor. Join us in congratulating Britney Brown from the Ottawa County Department of Public Health and Amy Bodbyl-Mast from Ottawa County Fiscal Services, who have been recognized as Ottawa County’s Outstanding Customer Service Award recipients for the first quarter of 2018. You can read the nominations which earned each recipient an award plus learn more about them at miOttawa.org. This entry was posted in Ottawa County on August 10, 2018 by editor. • In the fall of 2017, the current owner offered to sell the property based on an appraisal of $11.2 million and donate 25% of the land value to serve as match in a grant proposal for $8.4 million to the Michigan Natural Resources Trust Fund (MNRTF). • In December 2017, the MNRTF Board recommended that a $4.2 million grant be awarded in 2018, with encouragement to submit a phase two grant request for the remaining funds needed in 2019. • Ottawa County Parks submitted a grant request from the MNRTF for phase two in April 2018. If approved, Ottawa County Parks will be notified in December 2018. • In June the state grant agreement for phase one (188 acres) was received and approved by Ottawa County. • The Land Conservancy of West Michigan has agreed to purchase the second parcel of property (157 acres) and hold it until grant funding becomes available in 2019. If all aspects of the acquisition proceed smoothly, the county will acquire 188 acres of the 345-acre site by August 1 and the Land Conservancy will utilize loan from The Conservation Fund to acquire the remaining 157 acres at the same time. “In order to secure this property for the public the purchase needed to happen in full, but we only have grant funding for just over half of the property at this point. The Land Conservancy really stepped up and for that we are very grateful. Without them, the opportunity to purchase this land would not have been possible,” said John Scholtz, Ottawa County Parks Director. The loan agreement from The Conservation Fund will cover the approximately 4 million dollar purchase price for the second half of the property. The Land Conservancy will launch a fundraising campaign later this summer to cover costs related to the land acquisition. While the purchase agreement and the loan from the Conservation Fund are significant steps in protecting this property, it will not be permanently secured until the loan is paid off and the fundraising is complete. The land owner has generously offered approximately $1.5 million as a contribution in the project and the Michigan Natural Resources Trust Fund will look to make a commitment to the project in 2019. This entry was posted in Ottawa County on August 8, 2018 by editor. Holland, MI – Shop local. Eat local. Locally grown. We hear these phrases daily. And in Ottawa County, those phrases mean a huge variety of foods – strawberries, cranberries, black beans, apples, blueberries, cheese, eggs, pork, and chicken are just to name a few. All of these foods and many more are grown right here in Ottawa County by the farmers who are our neighbors. And on June 9, Ottawa County Farm Bureau partnered with The Shops at Westshore to put on an event where these farmers could greet the public, answering questions about where food comes from, how it is produced, and why it is produced that way. The families attending this free event enjoyed a huge variety of product samples, exhibits, live animals, and one on one chats with farmers. Kids could take a break with bounce houses, activities, and food trucks. Many Ottawa County residents enjoy the bucolic farm scenery as they drive through the countryside. They love going apple picking and to pumpkin patches in the fall. But in Ottawa County, farming is also big business. The County ranks 3rd statewide in total value of agricultural products. There are 88 family farms producing blueberries on 5,900 acres in Ottawa County. The County ranks in the top ten in dairy, egg, turkey, and broiler chicken production. Michigan ranks 2nd nationwide in celery production, and the largest celery farm in the state is located in Hudsonville. Ottawa County even has cranberry bogs! There is so much to know about local agriculture, and no one better to tell that story than the folks who do it every day as their livelihood. This entry was posted in Ottawa County on July 16, 2018 by editor. An event to support farmland preservation in Ottawa County! Ottawa County’s Farmland Preservation Program is holding its 2nd annual Farms are the Tapas fundraising event on Thursday, September 20, 2018, from 6-8pm at Terra Square in Hudsonville. All proceeds from this event will support the preservation of farmland in the County. This fun evening features a master chef cooking competition with chefs from Sonder Eatery, The Farmhouse Deli, Butch’s Dry Dock, and The Elbo Room. Guests will dine on delicious creations made with locally sourced ingredients and vote on their favorite one. There will be a cash bar with local beer and wine and live entertainment by West Michigan musician Jack Leaver. New to the event this year is a silent auction that features outstanding agricultural-related items up for grabs, such as a CSA share, a Lake Michigan sunset cruise with a farm-to-table style dinner onboard, half of a locally raised pig complete with processing and freezer, a family farm pass bundled with local coffee and blueberries, as well as an aerial photography package. Also new this year is an Early Bird Gift Basket Giveaway—purchase your ticket(s) before July 31 and you’re automatically entered into a drawing for a gift basket valued at $125 that features gift cards from the event’s participating restaurants and a howler (with a fill) from Farmhaus Cider Co.
All of the proceeds from this event support the thriving agricultural community in Ottawa County, which is the most agriculturally diverse County in the entire state of Michigan. Ottawa County leads the State in the production of turkeys, blueberries, ornamental nursery crops, and perennials. The County’s productive farmland, made up of almost 1,400 farms, offers an abundance of jobs to hardworking individuals. It also lends to the natural beauty that the County is known for, and it provides us all with access to fresh, locally grown agricultural goods. Preservation of this land is of utmost importance amid widespread growth and development. Tickets for Farms are the Tapas are $50. For more information about Farms are the Tapas or to purchase tickets, go to www.miOttawa.org/Tapas. This entry was posted in Ottawa County on July 12, 2018 by editor. All classes are 7-10PM at the Ottawa County Fillmore Administration Building, 12220 Fillmore, West Olive. There is no cost, but registration is required. What should you do in the case of an active shooter? Hide? Evacuate? Doing the right things can increase your odds of survival. The Ottawa County Sheriff’s Office is again offering the popular “Civilian Response to Active Shooter Events” training. This thought-provoking and engaging class provides strategies, guidance, and a plan for surviving an active shooter event. To date, the sheriff’s office has trained thousands of individuals on the topic in communities, at worksites, in schools and in places of worship. This entry was posted in Ottawa County on July 7, 2018 by editor. 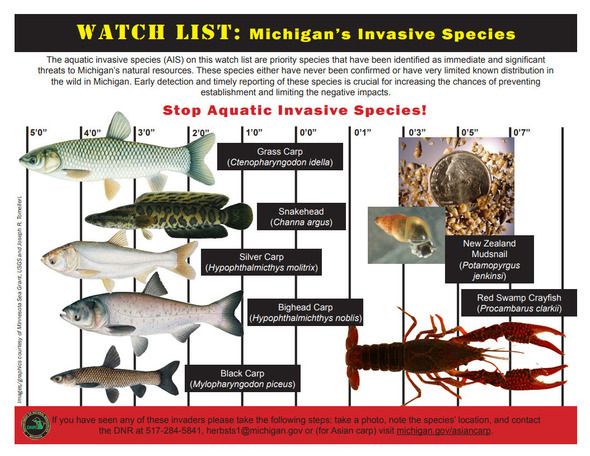 Citizen volunteers and aquatic invasive species experts will team up at boat landings throughout the state to educate boaters about preventing the spread of harmful species during Michigan’s Aquatic Invasive Species Landing Blitz, June 30 through July 8, 2018. 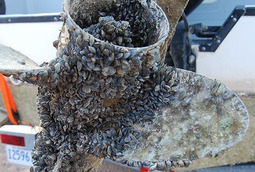 The Landing Blitz is a collaborative outreach campaign to raise awareness about preventing the spread of aquatic invasive species (AIS) through recreational boating and related activities. Boaters will learn about preventing the introduction and spread of AIS from the movement of watercraft and equipment between water bodies at both public and private boating access sites throughout the state. A surprising chorus of spring peepers. The up-and-down stairs and vistas of Rosy Mound Natural Area. The quiet, twisting waters of the Pigeon River at Hemlock Crossing. Jen Bradshaw found many rewards in a year-long odyssey to visit all 38 Ottawa County parks and open spaces. But the opportunities for exercise and rejuvenation might top the list of park payoffs. Bradshaw and colleague Beth DeWilde at Paragon Recruiting in Holland make a habit of regular exercise to refresh mind and body. So, it made sense for them in 2016 to launch the Paragon Parks Tour. They began that January by hiking Mt. Pisgah at the Historic Ottawa Beach Parks. After running, hiking, biking and kayaking their way through the year – and through all 38 Ottawa County parks and open spaces – they finished in December at Grand Ravines, Bend Area and Hager Park. In her blog about the tour, she encourages people to team up with friends or coworkers to explore what Ottawa County parks have to offer. 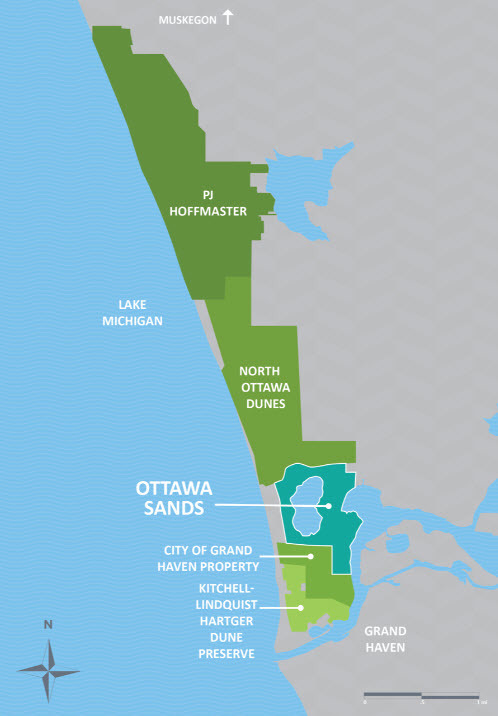 Indeed, park offerings range from waterfront to dune to deep forest to rivers and streams. They also offer healthier communities, by providing places that motivate healthy activity. Numerous studies demonstrate the health benefits of green spaces. Research has shown benefits of spending time in green spaces that include improved mood and attitude, stress reduction, better mental health, and more mindfulness and creativity. “We now know that nearby nature … directly contributes to quality human habitat and is profoundly important for the health of mind and body,” writes Kathleen Wolf, a research social scientist at the University of Washington who also works with the U.S. Forest Service. Recognizing that, the Ottawa County Parks Foundation is working to enhance and expand green space offerings in our area. Parks and other green spaces provide natural settings for Pop-Up Fitness classes that Necia Ornee leads. She wants people to get away from the idea that they have to work out in a gym, and to understand the value of being out in fresh air. “It’s really fun to see people not used to doing things outside, they’re surprised at how wonderful it is,” she said. And Ornee is surprised at how many people aren’t familiar with what area parks have to offer, including trails, beaches, playgrounds, picnic areas and more, all of which support healthier living. Bradshaw, too, believes the parks spread across Ottawa County can encourage good health practices. Bradshaw’s park tour opened her eyes to the variety of opportunities the parks offer – besides wooded trails, shining water and thick forests, there are beautiful venues for weddings, family reunions or other events in woods or along rivers. 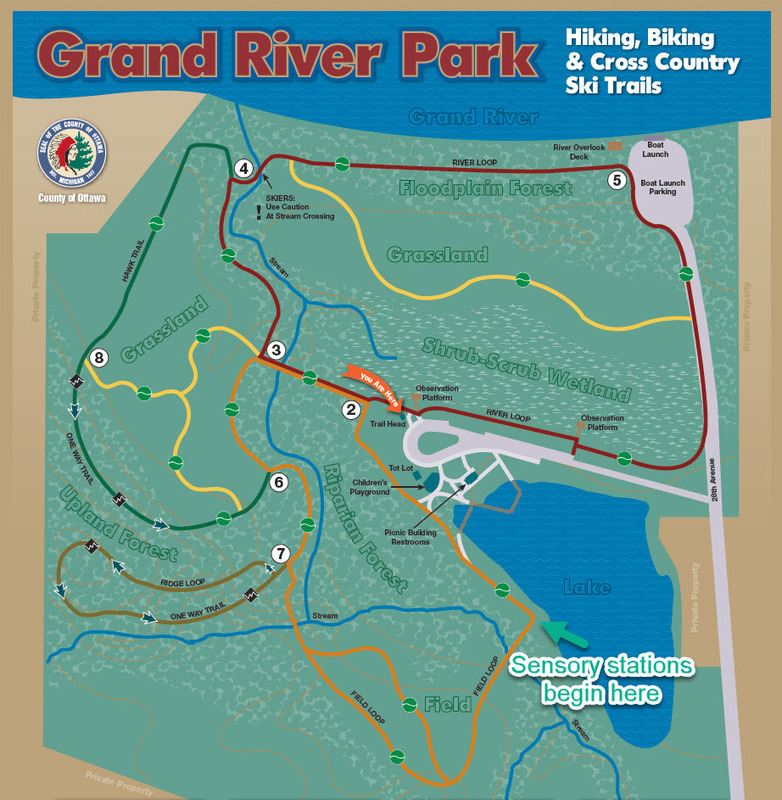 Bradshaw pointed out that parks serve the varied and changing interests of the community – offering mountain biking trails at Upper Macatawa Natural Area or Riley Trails, for example, or kayak launch facilities at Hemlock Crossing, Connor Bayou and Grand River Park. And that could be as simple as enjoying a dune scene or listening to spring peepers. The Ottawa County Parks Foundation is a 501(c)3 committed to investing in green spaces in Ottawa County through key land acquisitions and park enhancements that facilitate access to diverse nature experiences by all. Join us at ottawacountyparksfoundation.org. This entry was posted in Ottawa County on May 15, 2018 by editor. 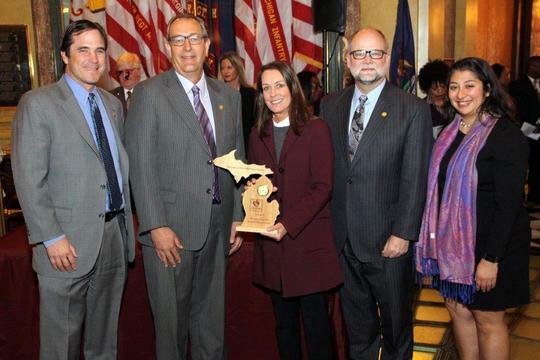 Nick Lyon, Michigan Department of Health and Human Services director; Rep. Roger Victory, R-Hudsonville; Lisa Stefanovsky, Ottawa County Department of Public Health administrative health officer; Senate Majority Leader Arlan Meekhof, R-West Olive; and Rep. Daniela Garcia, R-Holland. The Michigan Public Health Week Partnership, which consists of 10 public health organizations in Michigan, awarded the Ottawa County Department of Public Health (OCDPH) the 2018 Jean Chabut Health Policy Champion award for achieving the Project Public Health Ready (PPHR) national recognition. The Jean Chabut Health Policy Champion award showcases the significant accomplishments of individuals or organizations in the policy arena on the local or state level to improve the health and safety of their communities. To achieve the PPHR national recognition, the OCDPH had to demonstrate preparedness and response capability by meeting a comprehensive set of nationally-recognized standards. PPHR standards focus on three main goals: all-hazards planning, workforce development and demonstrating readiness through exercises and real events, and are aligned with federal government requirements and national best practices. Ottawa County joins more than 400 agencies across the country that have achieved PPHR recognition since 2004. “I was very proud to accept this honor on behalf of our amazing public health team. We strive for excellence in all that we do,” said Lisa Stefanovsky, OCDPH administrative health officer. 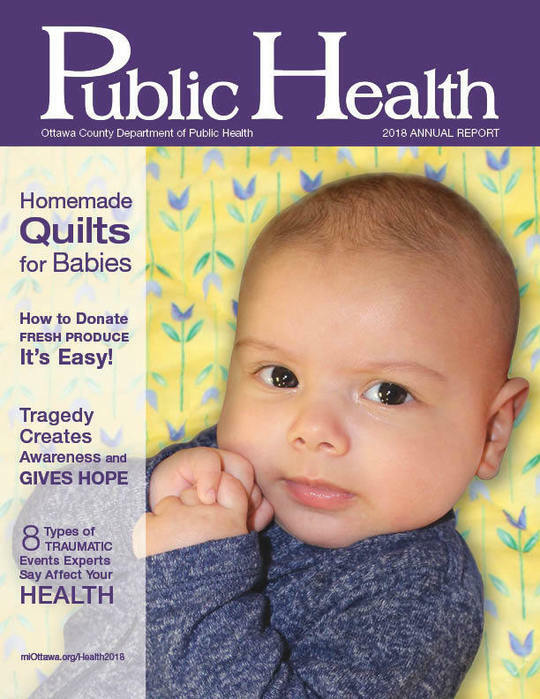 For more information on Project Public Health Ready, visit http://www.naccho.org/PPHR. This entry was posted in Ottawa County on May 9, 2018 by editor. Why have a medication takeback day? As you may know, we are facing an Opiate Epidemic in Ottawa County and throughout the United States. Americans use 80% of the world’s supply of opiates (pain medication). If not carefully managed, opiates can be dangerous as they are easily misused and can cause accidental overdose and death. As a community, we can help by removing unused medications from our homes and safely disposing of them. Feel free to bring in any unused medications to dispose of, we are specifically focused on collecting: pain medications (hydrocodone, Norco, Vicodin, Oxycodone, Coxycontin, Percocet, Tramadol or Fentanyl), Sedatives (Xanax, ambien, valium, and klonopin), Antidepressants, ADHD Medications, Muscle Relaxants, and Veterinarian Medications. By disposing of unused medications it will prevent misuse in our community, accidental medication poisoning, and clears out space in your cabinet! If you are unable to attend our medication takeback event on April 28th, you can find our county’s permanent medication disposal sites here. If you’ve been impacted by opiates – please contact us! If someone that you love has been impacted by opiate misuse and you would like to get involved in opiate prevention and education, please reach out to Jessica Irvin by emailing jirvin@miottawa.org or calling 616-494-4489. This entry was posted in Ottawa County on April 23, 2018 by editor. The top five breeds licensed in 2017 were Labrador Retriever, Golden Retriever, Chihuahua, German Shepherd and Shih Tzu. Dogs must be licensed at four months of age. In Ottawa County, dog licenses can be purchased at any time but are issued to expire the month of the dogs’ rabies vaccination. New licenses are available for either one or three years and will expire in the month of the rabies vaccination. Owners can purchase licenses through participating veterinarians, some units of government or online at www.miottawa.org/DogLicense. More information about licensing dogs in Ottawa County is available on the https://www.miottawa.org/Departments/Treasurer/dog_licenses.htm or by calling 616-994-4501. This entry was posted in Ottawa County on April 14, 2018 by editor. The Ottawa County Department of Public Health (OCDPH) has been recognized by the National Association of County and City Health Officials (NACCHO) for its ability to plan for, respond to and recover from public health emergencies. The OCDPH demonstrated these capabilities by meeting the comprehensive preparedness benchmarks required by Project Public Health Ready (PPHR), a unique partnership between NACCHO and the Centers for Disease Control and Prevention. The OCDPH joins a cohort of 500 local health departments across the country that have been distinguished for excellence in preparedness through PPHR, either individually or as part of a region. This entry was posted in Ottawa County on April 11, 2018 by editor. Join us in congratulating Amy Brown and Kara Bostrom-Young from the 58th District Court and Jocelyn Garris from the Human Resources Office, who have been recognized as Ottawa County’s Outstanding Customer Service Award recipients for the fourth quarter of 2017. You can read the nominations which earned each recipient an award plus learn more about them at miOttawa.org. This entry was posted in Ottawa County on April 2, 2018 by editor. February 19, Ottawa County launched a new online job application system that will make applying for Ottawa County employment even easier. Job seekers visiting miOttawa.org will be able to complete user profiles, search for available positions, apply for multiple openings at once and sign-up for notifications about new employment opportunities. Internally, the technology will allow hiring managers to quickly and strategically assess skill sets, reduce bias and expedite hiring. Currently, over 20 positions are posted at miOttawa.org and interested applicants can apply online—easily. This entry was posted in Ottawa County on March 31, 2018 by editor.